Look, my name is on this poster! I know what you’re thinking, I’m too short to be a model – but it’s not like that! Actually, there’s an eclectic show at FPC this month, celebrating fashion, photography, and the intersection between art and what we wear, and featuring some of my work! If you are in town, come by, I will be there this Thursday night for the fashion forum, and Friday during First Friday art walk. 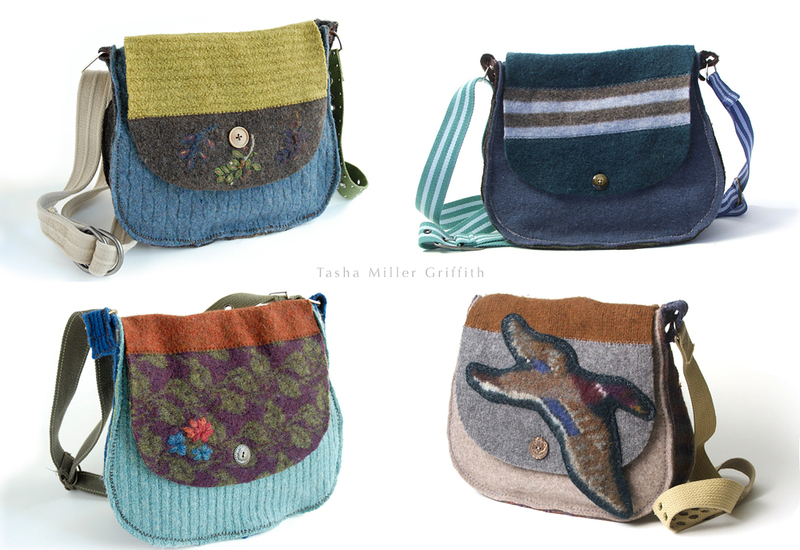 I have a lovely selection of one of a kind purses, scarves, and wallets in the show, all made from recycled and handmade materials and totally unique! 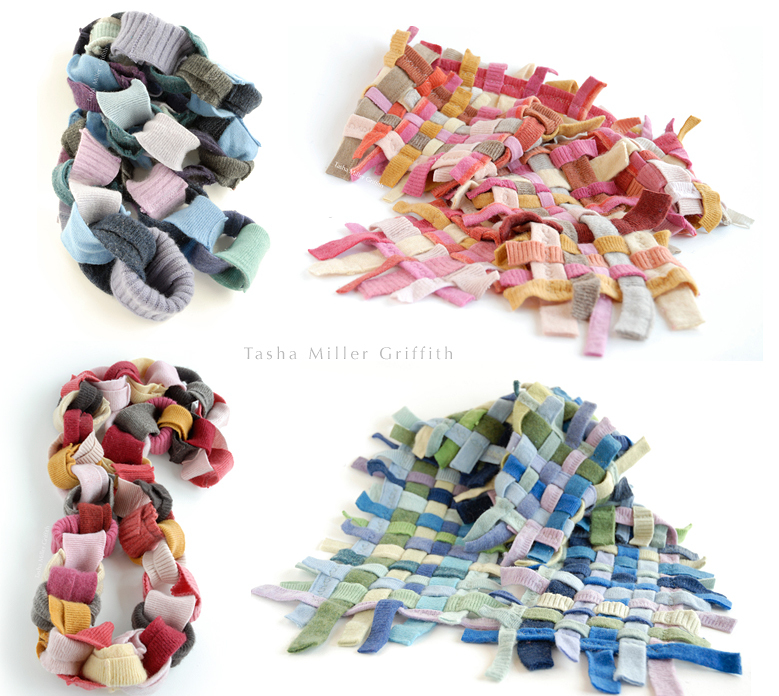 Plus the work of four different photographers, and some totally wild and amazing macramé masks made by Sheree. If you’re not near Flagstaff, I’ve also been working feverishly on my latest project, which will be available worldwide, very soon if all goes well! 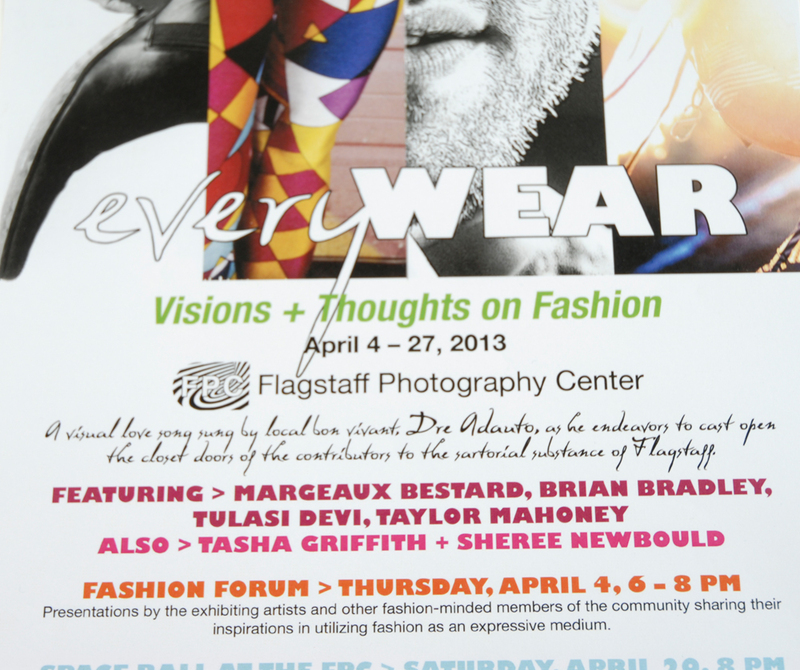 This entry was posted in Announcements and tagged clothing, everyWEAR, fashion, fashion forum, fashion photography, first friday art, Flagstaff, Flagstaff Photography Center, forum, purses, recycled, scarves, style, wallets. Bookmark the permalink. Your felt purses are the most awesomest purses ever! I still love them so much! Aww, thanks! It’s not every day you get called the most awesomest. Yep, totally unique!!! These designs used the recycled materials but they looked very fantastic. I thought that they would be suitable with my true religion jeans.